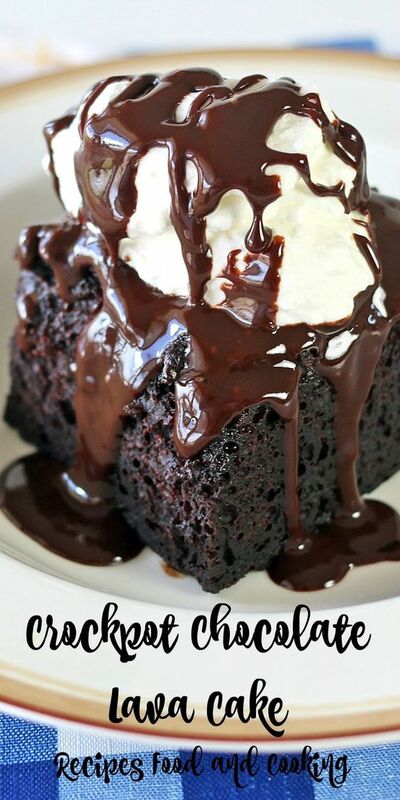 Crockpot Chocolate Lava Cake starts with a boxed chocolate cake with a creamy pudding layer, topped with whipped cream and chocolate sauce. 1. Spray 6-quart slow cooker with cooking spray. In large bowl, beat cake ingredients with electric mixer with the milk, oil and eggs. Pour into slow cooker. 2. In medium bowl, beat pudding mix and 2 cups milk with whisk. Pour into slow cooker over cake batter. Do not mix. Sprinkle chocolate chips over top.